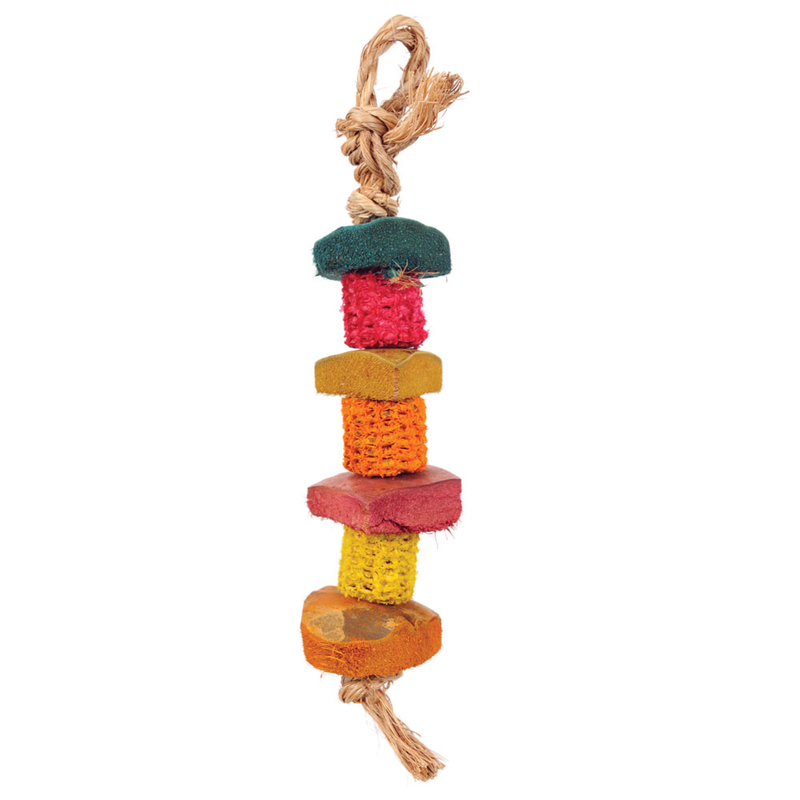 Planet Pleasures bird toys are made with earth-friendly materials. This toy contains no plastic, glue, or toxic chemicals of any kind. This toy is made for small and intermediate sized birds. 12" x 18" - 1/2" Diameter.